A beautiful Vintage card, with an adorable image and gorgeous embellishments. Stunning as always Sassy! Gorgeous image and soft colours. 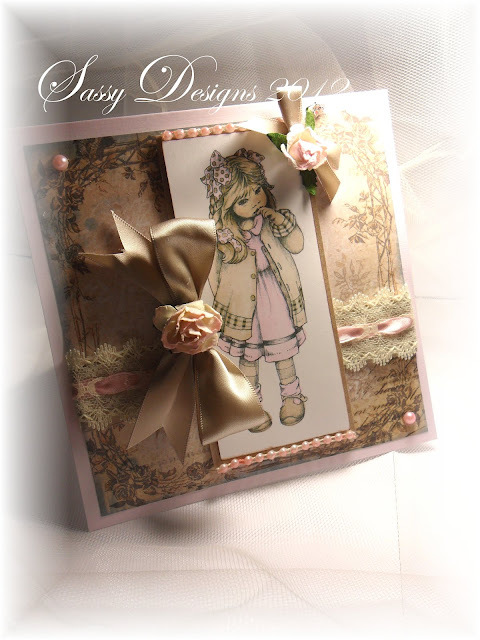 The card is beautiful Sassy, I'm sure the person it's for will love it. A beautiful card. I love the papers. Stunning card, my lovely! I adore your colour combo and the lace and ribbon together or divine!